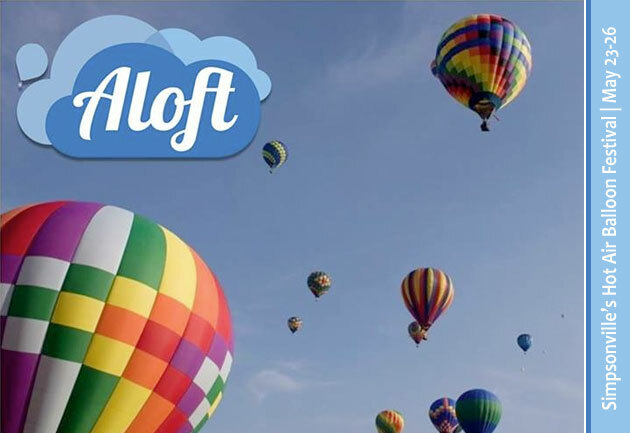 May 23-26, 2014 | Simpsonville, Greenville County — This year's May Calendar of SC Events is brought to you by Aloft, a hot-air balloon and entertainment festival with adventurous, interactive family fun held on Memorial Day Weekend in Simpsonville, SC. This year's event includes concerts by Blues Traveler, Hot Chelle Rae, and Thompson Square, along with amusement rides and, of course, world-class flying events! In addition to SCIWAY's May Calendar of SC Events, remember that all of our event calendars, for every month of the year, are always available on our website – just go to https://www.sciway.net/calendar.html. You can sort events by date, city, name, or type – it is hands down the best South Carolina calendar anywhere! May is graduation month in South Carolina. 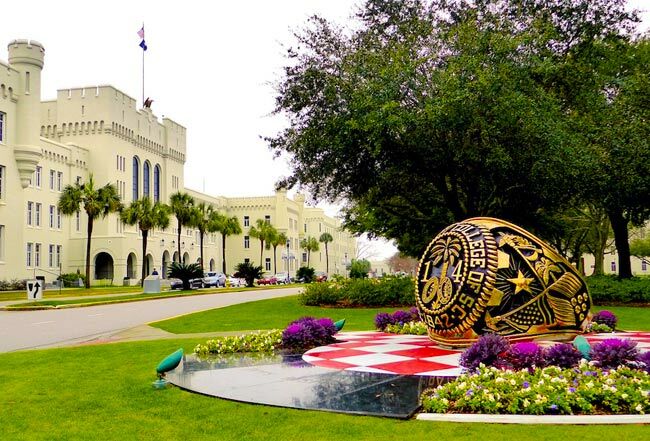 The larger-than-life class ring shown below honors members of The Citadel's graduating class of 2014. 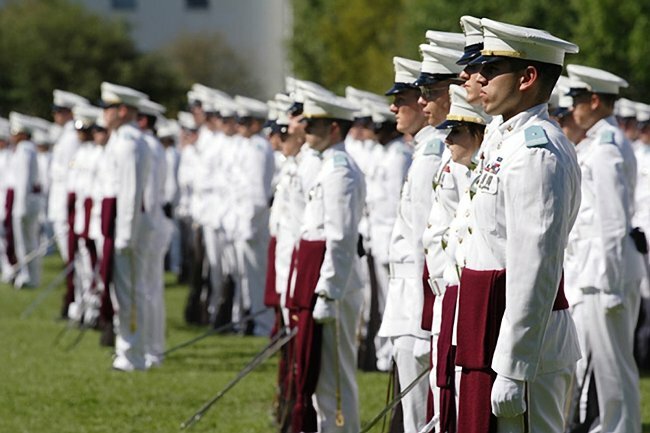 When these cadets partake in this year's commencement ceremony – to be held Saturday, May 10 – they will become alumni of one of our state's most historic institutions. 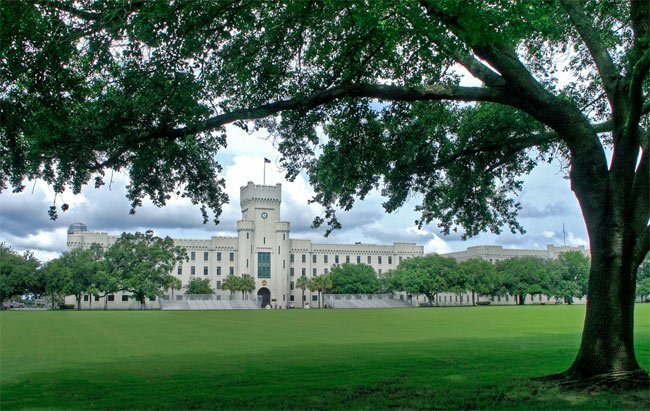 The Citadel, the Military College of South Carolina – commonly called The Citadel – opened on March 20th, 1843, in the former South Carolina State Arsenal (now the Embassy Suites hotel) on Marion Square in downtown Charleston. The college is historically significant in that Citadel cadets positioned on Morris Island fired the first shots of the Civil War at the Federal supply ship, Star of the West, on January 9th, 1861. It is also believed that the shot launched at Fort Sumter on April 12th, 1861 – which began the first battle of the Civil War – was fired by a Citadel alumnus. By 1865 Federal troops had occupied The Citadel and did not decamp until 1879. During those years and the two following, the college was not in operation. 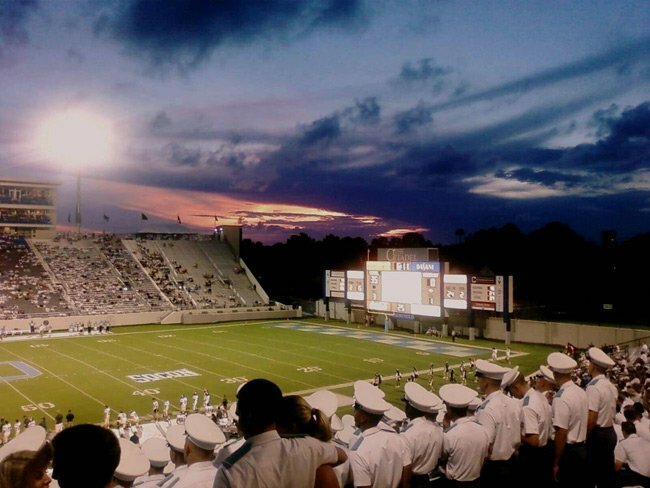 It finally reopened in 1882 at the request of of Governor Johnson Hagood, Citadel Class of 1847, for whom The Citadel's football stadium is named. By the early twentieth century, the Corps of Cadets was outgrowing the Marion Square campus. The City of Charleston donated land by the Ashley River to the military school, and the new and present campus opened in 1922. The photo near the top of this newsletter, showing the enormous Citadel class ring, was contributed to the South Carolina Picture Project by the Reverend Andy Hunter. It is just one of many photos Andy has generously given to SCIWAY so that we can create a lasting archive for images and information related to our state's history. Andy calls himself a "country parson" because he has served as the pastor of First Baptist Church – located in the rural community of Denmark – for 22 years. He also hosts a weekly radio program, which you can check out by tuning into WORG (100.3 FM) on Sunday mornings at 9:30 AM. Andy's primary hobby, of course, is photography, which allows him to celebrate sacred milestones in the lives of his parishioners, as well as miracles of community and nature. Learn more about a man who has become a dear friend, both to us and to the South Carolina Picture Project, Andy Hunter.